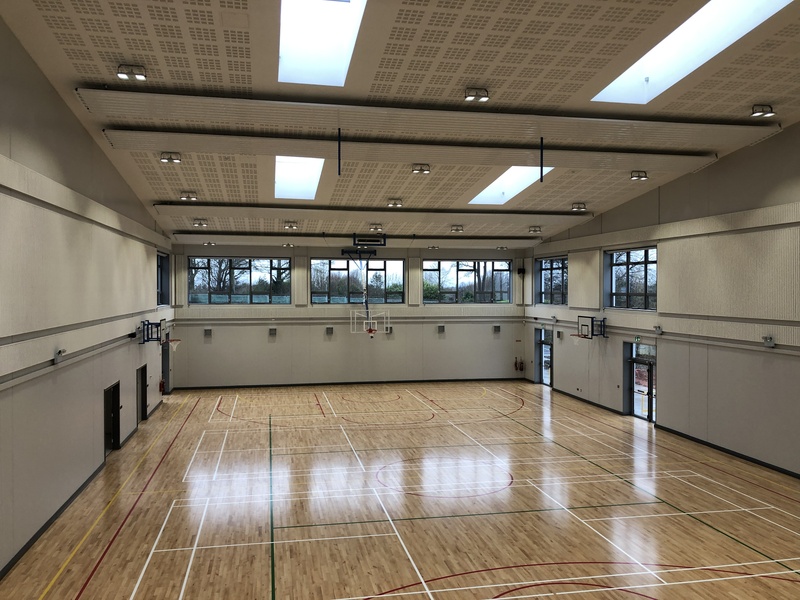 Luttrellstown Community College was successfully handed over on 4th February 2019. 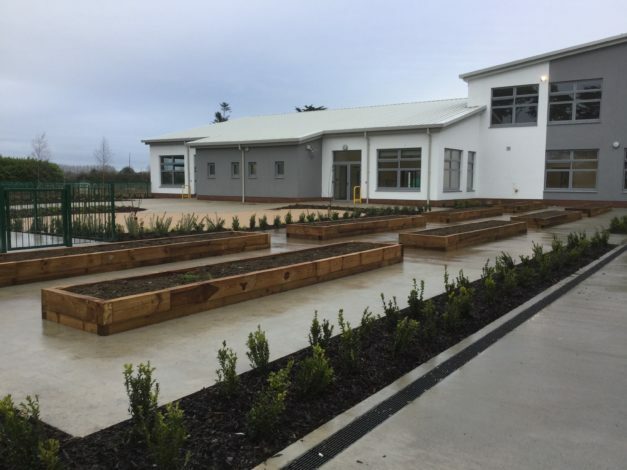 This project consisted of the construction of a two storey extension to the existing secondary school, including a new community facility. The total area of the development is circa 4592m2; the school extension is circa 3850m2 and the proposed community facility is circa 745m2. 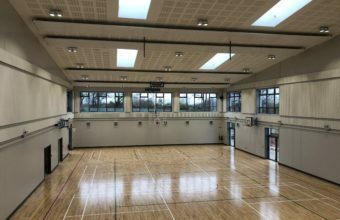 The school extension comprises of 8 general classrooms, 8 specialist classrooms, 2 interconnecting lecture rooms, 2 classroom special needs units, sports hall, changing rooms, fitness suite, offices, staff area, sanitary and ancillary accommodation. The extension will increase the long-term enrolment to 1000 post-primary pupils. The community facility comprises of a multi-purpose room, meeting room, youth room, offices, reception area, sanitary and ancillary accommodation. The community facility will have after hours use of the school sports hall, shared changing rooms and fitness studio. The project also consists of 2no. additional ball courts to the south of the extension, special needs sensory garden to the south east of the existing school, 32 no. additional car parking spaces within the existing car park area and 50 no. additional bicycle parking spaces adjacent to the main school entrance.